It’s a common refrain among fighters of the new generation: They grew up watching PRIDE, and now that they are professional mixed martial artists, they wished they had a chance to experience the whole Japanese big-fight experience they geeked out for as kids. The big stage presentation. Fighting in a ring instead of a cage. Ten-minute opening rounds. Tactics like knees on the ground and soccer kicks legal. The whole nine yards. For Daron Cruickshank, the PRIDE-style trappings have been more about necessity than getting to live out the days of yore. After parting ways with the UFC earlier this year, the “Detroit Superstar” was mostly concerned with getting right back into competition and getting back into the win column after a losing streak. RIZIN, the spiritual heir to PRIDE, was the first to come calling when Cruickshank found himself a free agent. 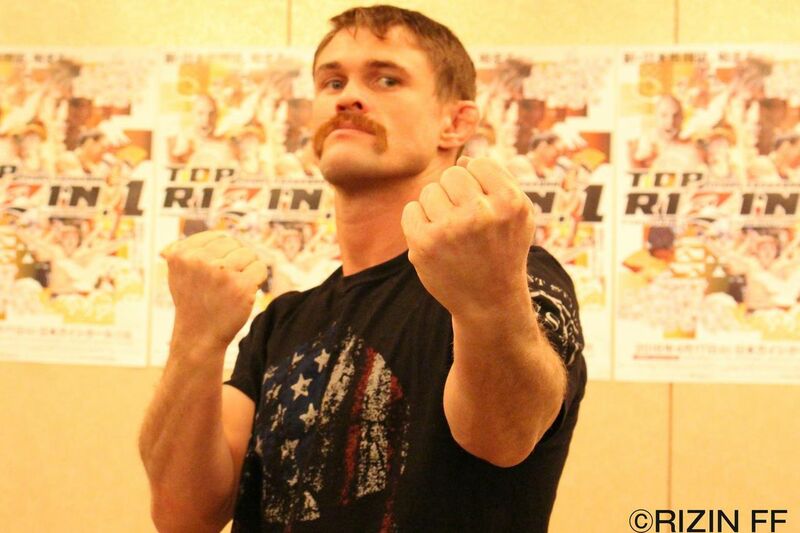 So when the lightweight competitor took his first fight in his new promotion — while sporting a new mustache which looked like it was inspired by a vintage Don Frye — Cruickshank wasn’t really thinking about old-school PRIDE fandom. Until he defeated Shinji Sasaki in his RIZIN debut on April 17 in Nagoya. And via soccer kick TKO in the first round, no less. Then he took a moment to ponder his surroundings. “You get over there and you’re really just thinking about the fight,” Cruickshank told MMAFighting.com. “I came into that fight with a three-fight losing streak, and I was going over there and fighting in Japan for the first time. It was a lot to digest all at once. All I thought about was staying focused and getting my hand raised at the end.